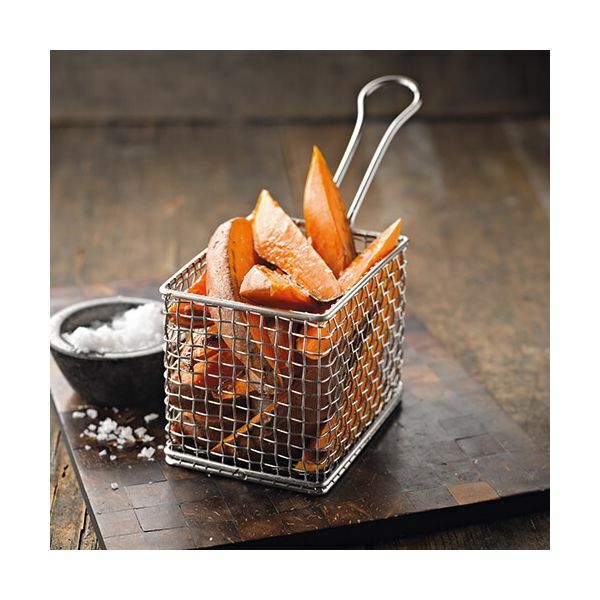 This pair of Mini Fry Baskets from Denby's Gastro by James Martin collection, are perfect for serving straight cut chips, french fries and potato wedges. 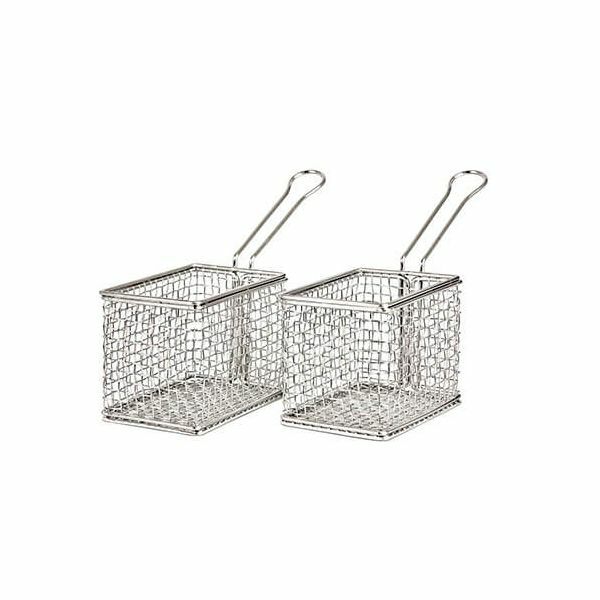 Made from high quality stainless steel, these Mini Fry Baskets measure 7.5cm x 10.5cm (20cm including handle) x 8.5cm. 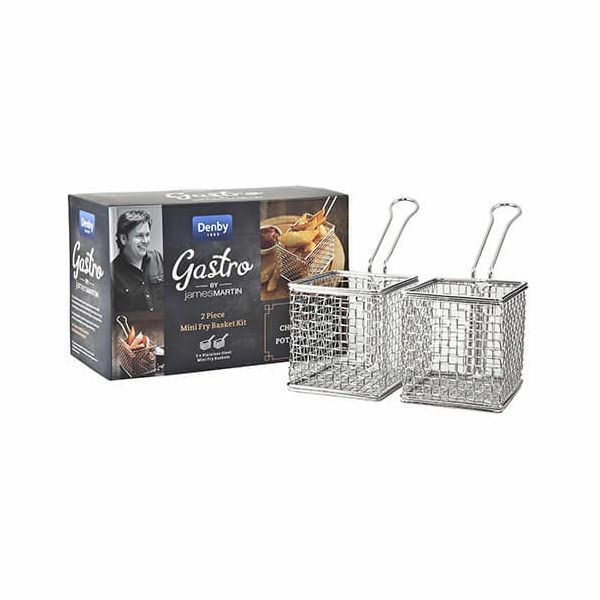 Not suitable for frying or cooking with.